Parrots. 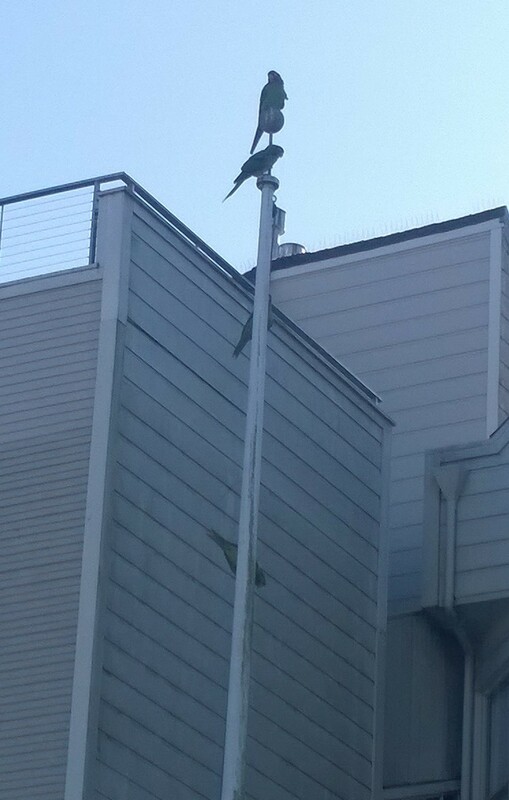 There are a few flocks of parrots that fly around the city. They’re bright green with red heads and a loud squawk.